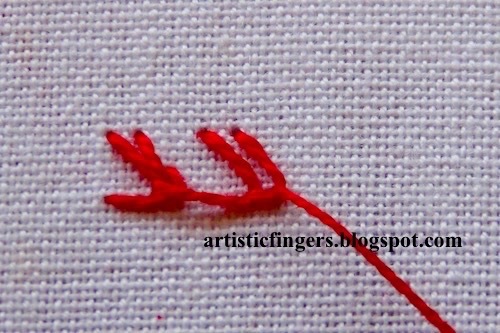 A slight twist adds an interesting effect to a simple stitch. 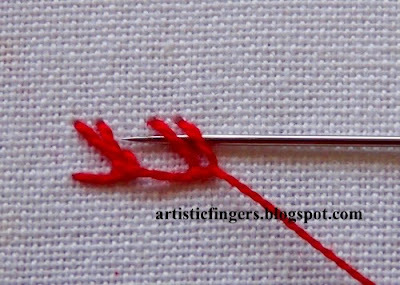 This stitch looks like knotted blanket / up and down blanket stitch but it's much easier to work. 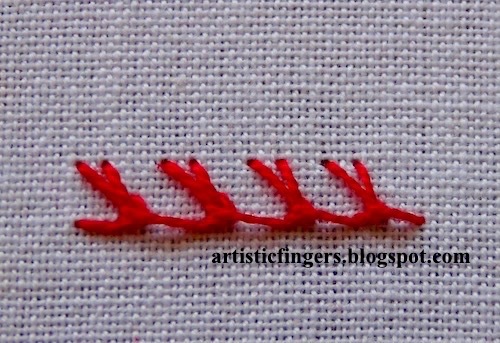 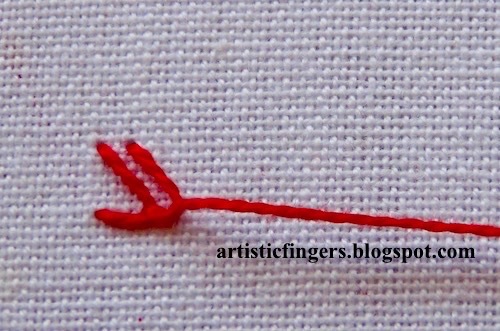 Step 1 – Make a pair of slant blanket stitches as shown. 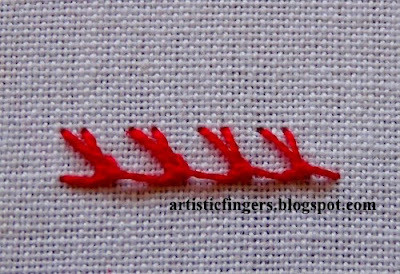 Step 2 – Pass the needle and thread through both the blanket stitches from right to left without picking up the fabric and pull the needle. 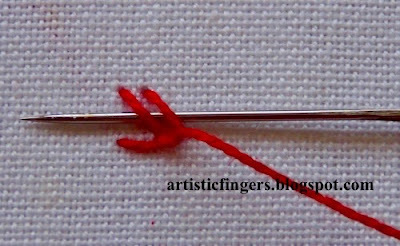 Step 3 – Repeat step 1. Step 4 – Repeat step 2. 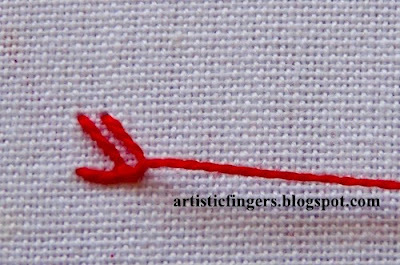 Repeat steps 3 and 4 until end.